I’ve created this plugin called Video Search Pop N Code which allows you to search for videos, watch videos, get embed code, and format code within your wordpress editor without refreshing your browser. This technology users the Google Ajax Search API. Details and download of the plugin can be found here. LightWindow is a lightbox function that you can use to create YouTube PopUp’s. 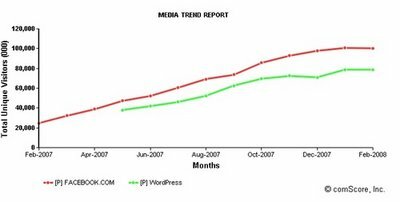 Here is an interesting Blog Hosting Model. Nginx combined with WP Super Cache for WordPress Mu is an interesting idea. However, you can potentially set up a simpler, and superior caching system using internal Nginx features that replaces the need for Super Cache. Update: Do not use this config for php. Instead use php-fpm with xcache or apc. How to create an extract arrays in PHP. Firstly you need postfix compiled with SASL and ssl support. How do you find out what the PTR record is to your IP address? 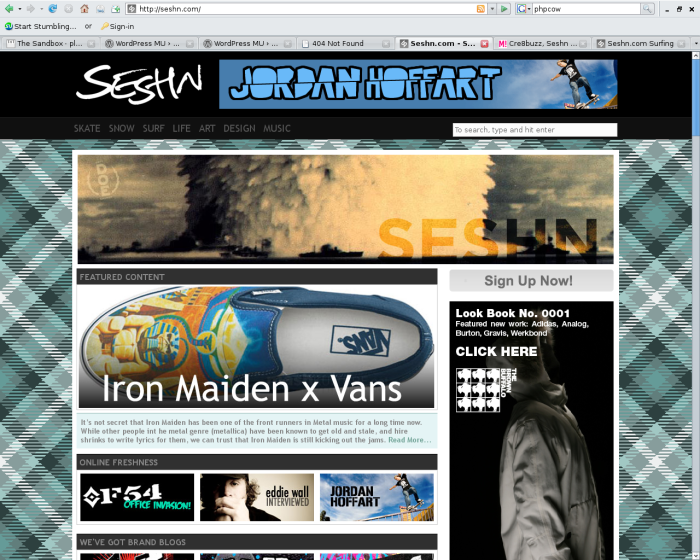 A beautiful MU WordPress theme at this action sports blog site, seshn. If you have issues at the moment I recommend Orange Mocha Frappuchino. Not everybody can be a good ugooglizer and I’m pretty sure there’s more to life than being really really ridiculously good looking. Ms Danielle posted these videos she recorded of Ad Tech. Donncha with the WordPress MU 1.5 release candidate. These code samples for the Ebay Trading API include some PHP. This Xajax code gets Ebay Categories cached in a MySql database and displays them all ajaxified. Here is the PHP Accelerator Toolkit for eBay – Trading API Edition.